Remember you have about “six seconds” to attract potential visitors to your exhibition stand as they walk down the isles. Your graphics should be bright, clear and eye catching. Your graphics should say two things – “Who you are” and “What you do”. Far too often it is impossible to see what an exhibitor actually sells, especially when it is service related. Use other marketing material such as datasheets, brochures and web sites to give additional information “after “you have made the initial introduction. Make sure you design your graphics so that images and text don’t go over joins in the graphics. Think about how you can update a single panel in the future without going to the expense of producing all of the panels again when only piece of information has changed. 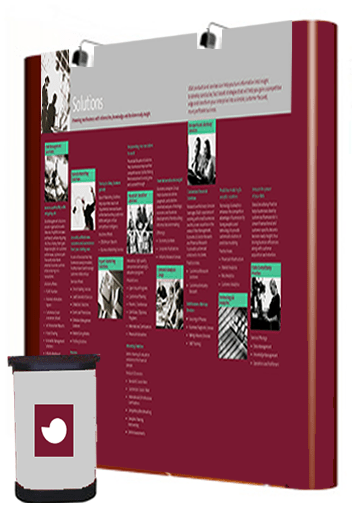 Make sure that any important information such as your company name or logo is above head height so that is can still be seem when your exhibition stand is full of visitors. Access Displays have designed thousands of pop up and banner displays and are always happy to discuss your requirements in more detail.